Propagroup has expanded its product range, which now includes time indicators, a fundamental tool for reminder when we need to monitor the passing of time. Timestrip Time indicators are a great help, for example, in the healthcare and hospital sector to remind personnel regarding the time to change patients' dressings or renewal of patient care. Generally speaking, these indicators are useful visible reminders to observe any type of recommended substitution after a certain period of time or also to monitor only expiry dates. 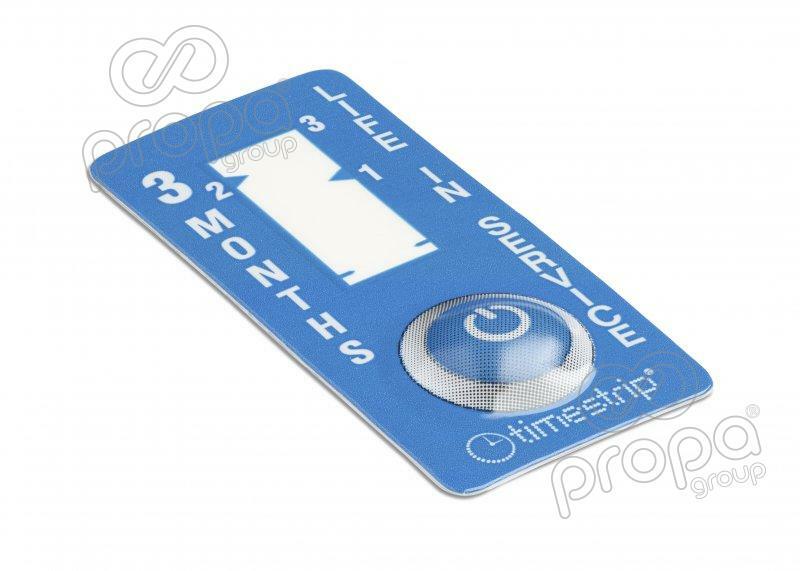 Timestrip time indicators start from short monitoring periods of one hour up to much longer periods, even up to 24 months. Past the age of 50 we change look!